We’re in the future. The area has been buried deep under the sea centuries ago, and long forgotten. However, a huge concrete cube, surprisingly well preserved, just has been found in the depths. Could it be a vestige from Mµ, the legendary sunken continent ? 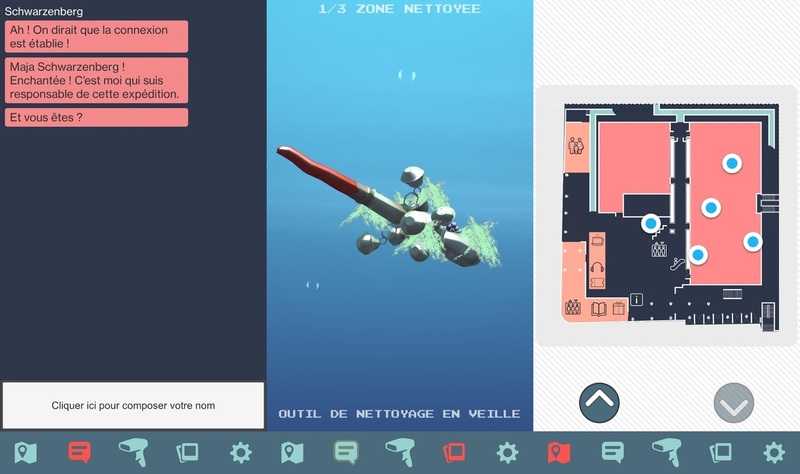 Mµ is a game-app made for the Museum of European and Mediterranean Civilizations (MUCEM). Its goal is to guide the visitors along the exhibitions and collections in an entertaining way. It was designed by The Pixel Hunt and myself and I wrote the dialogues.